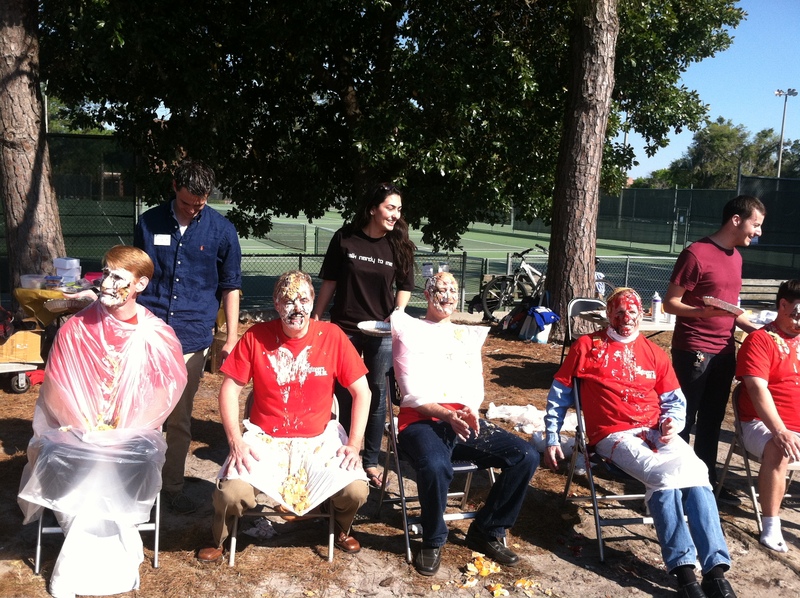 GAINESVILLE, FL: Dr. Joseph Hartman, Professor and Chair of Industrial and Systems Engineering, volunteered to be “pied” by students on Pi Day (March 14 or 3.14) in order to raise funds for the Children’s Miracle Network. The event, which was a part of Pi Day festivities, was sponsored by the Benton Engineering Council. They raised $279 for the cause in 90 minutes. In addition to Hartman, Dr. Eric Schwartz, Associate Professor of Electrical and Computer Engineering Dr. Karl Gugel, Senior Lecturer of Electrical and Computer Engineering Dr. Jason Kozinski of the Math Department, Dr. Angela Lindner, Associate Dean of the College of Engineering, and Dr. John Harris, Professor and Chair of Electrical and Computer Engineering were also “pied”. 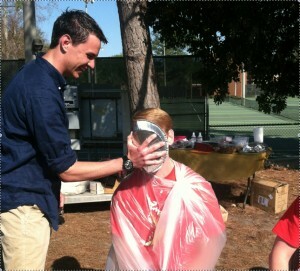 Hartman was “pied” by ISE student Zachary Serota.